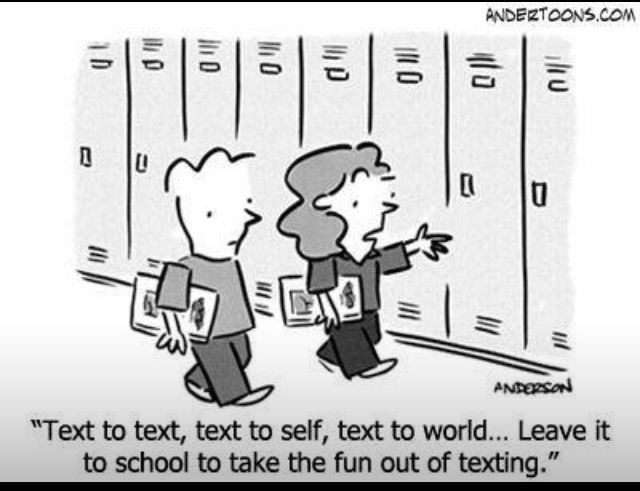 We always hear that texting is a scourge. 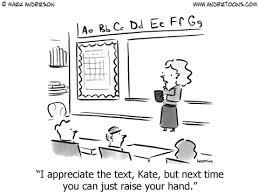 The idea is that texting spells the decline and fall of any kind of serious literacy, or at least writing ability, among young people in the United States and now the whole world today. The fact of the matter is that it just isn’t true, and it’s easy to think that it is true, but in order to see it in another way, in order to see that actually texting is a miraculous thing, not just energetic, but a miraculous thing, a kind of emergent complexity that we’re seeing happening right now, we have to pull the camera back for a bit and look at what language really is, in which case, one thing that we see is that texting is not writing at all. What do I mean by that? Casual speech is something quite different. Linguists have actually shown that when we’re speaking casually in an unmonitored way, we tend to speak in word packets of maybe seven to 10 words. You’ll notice this if you ever have occasion to record yourself or a group of people talking. That’s what speech is like. Speech is much looser. It’s much more telegraphic. It’s much less reflective — very different from writing. So we naturally tend to think, because we see language written so often, that that’s what language is, but actually what language is, is speech. They are two things. What texting is, despite the fact that it involves the brute mechanics of something that we call writing, is fingered speech. That’s what texting is. Now we can write the way we talk. And it’s a very interesting thing, but nevertheless easy to think that still it represents some sort of decline. We see this general bagginess of the structure, the lack of concern with rules and the way that we’re used to learning on the blackboard, and so we think that something has gone wrong. It’s a very natural sense. Interesting how the simplistic message spoke volumes and was loaded with emotion, yes? I have been told repeatedly not to use CAPS, because it is the equivalent of shouting. In this incident I felt perfectly justified. Btw, number one son is fine. Wasn’t an aneurysm- thank goodness. But, I nearly had a heart attack while waiting for the call. Sometimes, texting just isn’t enough, at least not for this mom. I (Clare) am sure you have heard the moanings and groanings that texting is ruining English? Well think again. 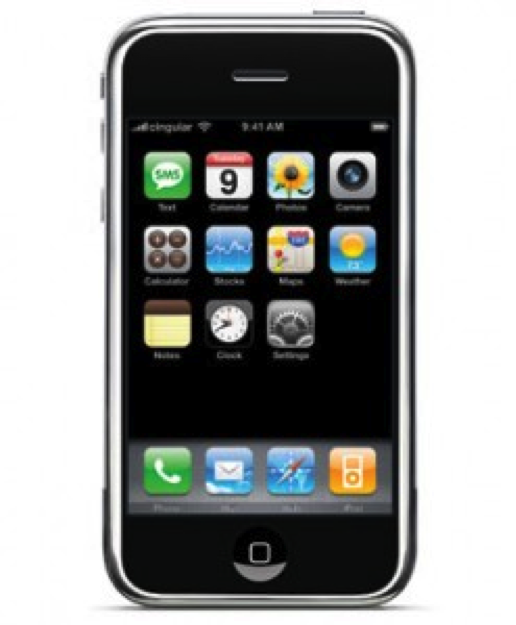 I watched this amazing Ted Talk by John McWhorter who argues that texting is another form of communication. Here are some excerpts from his talk. What texting is, despite the fact that it involves the brute mechanics of something that we call writing, is fingered speech. That’s what texting is. But the fact of the matter is that what is going on is a kind of emergent complexity. That’s what we’re seeing in this fingered speech. And in order to understand it, what we want to see is the way, in this new kind of language, there is new structure coming up. So we have a whole battery of new constructions that are developing, and yet it’s easy to think, well, something is still wrong. There’s a lack of structure of some sort. It’s not as sophisticated as the language of The Wall Street Journal. And so, the way I’m thinking of texting these days is that what we’re seeing is a whole new way of writing that young people are developing, which they’re using alongside their ordinary writing skills, and that means that they’re able to do two things … If somebody from 1973 looked at what was on a dormitory message board in 1993, the slang would have changed a little bit since the era of “Love Story,” but they would understand what was on that message board. Take that person from 1993 — not that long ago, this is “Bill and Ted’s Excellent Adventure” — those people. Take those people and they read a very typical text written by a 20-year-old today. Often they would have no idea what half of it meant because a whole new language has developed among our young people doing something as mundane as what it looks like to us when they’re batting around on their little devices. … if I could go into the future, if I could go into 2033, the first thing I would ask is whether David Simon had done a sequel to “The Wire.” I would want to know. And — I really would ask that — and then I’d want to know actually what was going on on “Downton Abbey.” That’d be the second thing. And then the third thing would be, please show me a sheaf of texts written by 16-year-old girls, because I would want to know where this language had developed since our times, and ideally I would then send them back to you and me now so we could examine this linguistic miracle happening right under our noses. Thank you very much. It is only 13 minutes long and worth every second. The recent phenomena of quick texting is providing us with accelerated communication opportunities, but is it always working to the best of our advantage? I (Cathy) brought this up at a dinner party the other day and was amazed at how many had experienced major communication faux pas. One colleague confessed to texting his boss instead of his intended friend- about the boss. Luckily, there were no consequences as he still has his job. Another colleague- a writer- sent a text off to her publisher inquiring about her overdue contract. She received a text back that was intended for another editor in the publishing house stating they should hold off sending the contract so they could “offer her less”. She consequently forwarded the text to her agent and luckily she was not “offered less”. And then there was my own experience. I texted my son suggesting I pick up a few work shirts for him while at Costco. Shortly afterward I received a text from him- intended for his sister- complaining about my taste in clothes. I texted him back that I would not pick up the shirts after all. He thought this mistake was hilarious and immediately sent a text to his sister telling her what he had done. Many LOL texts followed to which I was included. This incident became a family joke and I have consequently learned to refrain from buying clothes for my son. Luckily, I just buy something for myself instead! When I (Lydia) came across this comic on Facebook it made me laugh. I thought a chance to smile might be nice on such a cold winter day.